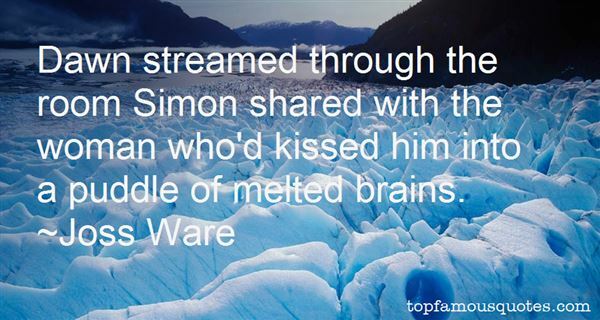 Reading and share top 5 Joss Ware famous quotes and sayings. 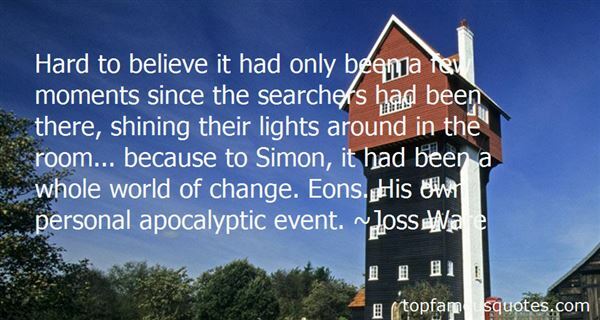 Browse top 5 most favorite famous quotes and sayings by Joss Ware. Silvio said with a fond smile. "That was when I knew you meant it. ""Meant what? ""That you care about me." Silvio took the helmet again and stared at it like a postmodern Hamlet. "Franco told you about Toppolino. You remembered. I knew you cared about me. ""Of course I do. I love you, Silvio." He didn't cringe inwardly when Silvio's answer wasn't the one his wife gave him immediately. Silvio wasn't good at this, and he accepted it.Silvio smiled and turned toward the door. "Same thing." What Did Joss Ware Talk About?